Shelby County, Fayette County, DeSoto County, Tipton County, Crittenden County, TN. Many Cities in and around Memphis, Tennessee. 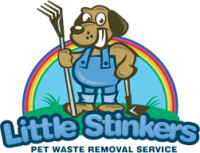 Call Little Stinkers Dog Poop Removal Services if you are a Pet Owner in the Memphis, Tennessee area at (901) 832-3481. Available as often as 7 days a week and with prices as low as $10 per week for dog poop pickup services, it's hard to go wrong with such a convenient home and pet care service. Also on call for last minute large scale cleanups when you have a planned event you need quick service to make your home and commercial property look great. In addition to professional, routine dog poop scooping services, additional pet and home services are available through Little Stinkers of Memphis, TN including: Cat Litter Services, Patio Deck and Concrete Floor Cleanings, and Curb Service. If you are someone that maintains there own yard and cleans up pet waste yourself, the Curb Service may be right for you if you desire to have the Dog Waste Removed after you clean your yard yourself. Professional Dog Poop Pickup Companies are available in Tennessee? Yes! As a dog owner, are you sick and tired of playing Mister and Misses Pooper Scooper in your spare time? Never worry about picking up dog poop piles on your lawn ever again! If you’re like me, you can imagine better ways to spend your free time than cleaning up after your dogs and cats. Thanks to professional Tennessee pooper scoopers like those listed here, you no longer need to be responsible for cleaning up your pets weekly backyard poop piles. 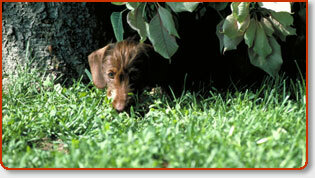 Put your “poop detectors” away and confidently meander through your yard as you would like. You ask how? Hire a professional pooper scooper to take full responsibility for routinely visiting your home on a prescheduled regular basis to remove all those offensive backyard dog poop mounds so you need not worry about it any longer. Not to be left out, most of these dog waste removal services are now cleaning and exchanging cat litter boxes as well. No kidding, they take care of all your pet poop problems. This is a phenomenal service for those of us who have dogs and cats but find the necessary task of consistently picking up after them unpleasant and just down right disagreeable. There’s not a bigger let down when you want to take advantage of a *quick* wrestling match with the dogs before dinner or take advantage of a last minute challenge of wiffle ball with your kids, only to find yourselves ankle deep in doggie dooty, or even worse- dog diarrhea. I speak from experience here. I grew up playing “dodge ball” and “pickle” in a lot of my friends backyards. The neighborhood joke amongst us to this very day was that we spent a lot more attention and sweat on attempting not to “step in it” than we did on actually dodging the ball from hitting us. Trust me, and I think you would agree, there’s nothing like having a asthetically clean, odor and dooty free lawn and garden that you would be proud to invite your friends and family over to enjoy a afternoon barbecue at. Did I forget to mention all the time and arguments you’ll save yourself and family? Tired of “landmine surprise” on your shoes? Completely avoid the mess altogether and contact one of these professional dog waste removal services if you ever want a fighting chance to make it out of the poop mines alive!